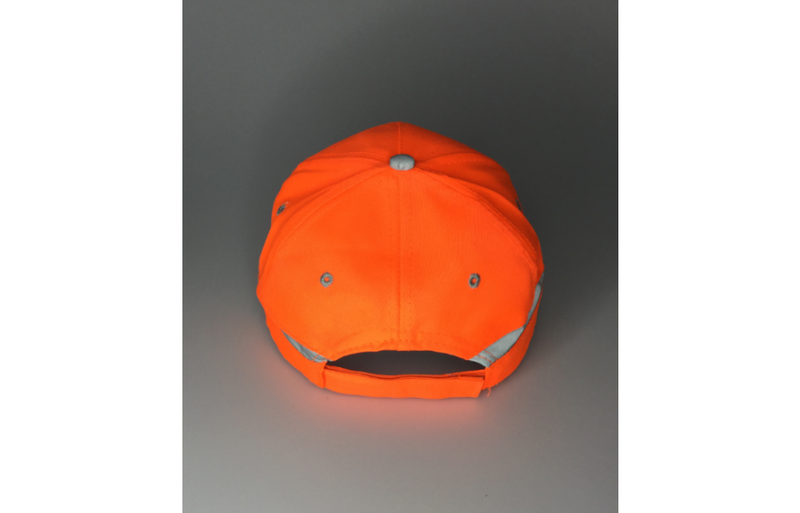 The structured 6-panel luminescent safety cap has reflective inserts and trim. Made of cotton and polyester, the cap protects your head from dust and sunlight. The cap has a stylish pre- curved peak. The peak can be of help when you are walking or working under the sun. The cap has a touch strap. This low profile cap is adjustable and is suitable for all. 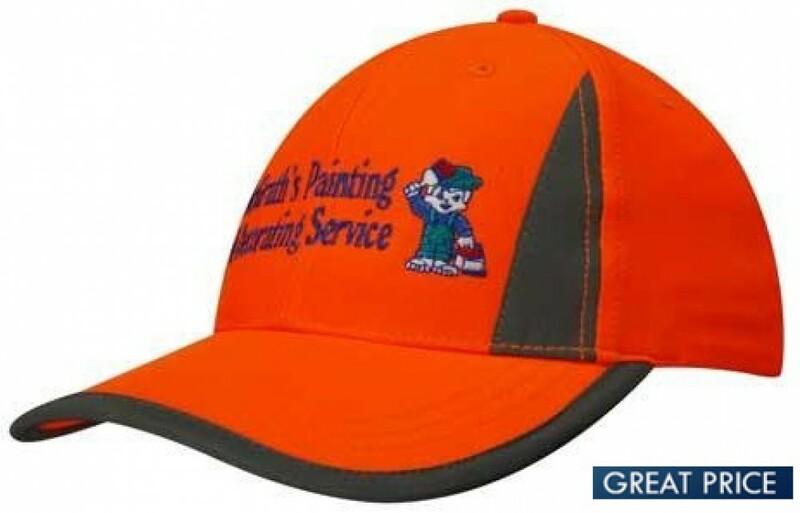 These superior caps are available in green and orange with a silver lining. The cap has a green colour finish and silver reflective trims that make it look memorable. The silver reflective trim is at the edge of the peak and there is also silver trim starting from where the curved peak joins the rest of the cap and extending to the top just in front of the cap. Why not see your logo on these outstanding quality caps? 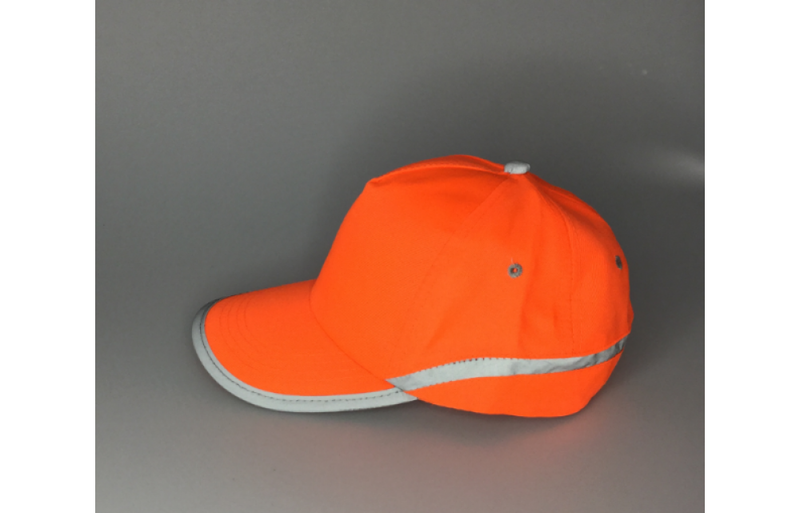 The embroidery decoration for this safety cap can be made on the front crown of the cap. But there are also other areas that can be embroidered such as the side of the cap, or the back also on the peak of the cap. Companies can buy this cap in bulk choosing a colour that best matches its logo or brand. All products include 8000 stitch embroidery. Artwork for the cap has to be supplied in eps, pdf. We also accept high-resolution jpegs. The price listed is in Australian dollars and excludes GST. Embroidery set up of $50+gst applies for bulk orders below 50units. .Ready for branding, our caps are stocked in Australia for fast one-week production timeframe. These caps are stocked in Australia, ready to be printed, allowing for a fast 1-week delivery. We deliver to all addresses in Australia -- ACT, NSW, NT, QLD, SA TAS and VIC. Our couriers will require a signature, so we cannot deliver to PO boxes. Deliveries to Australia only.